Grassland bird species are in decline, mainly from loss of habitat, which is why grassland conservation and restoration are part of the National Audubon Society's strategic plan. 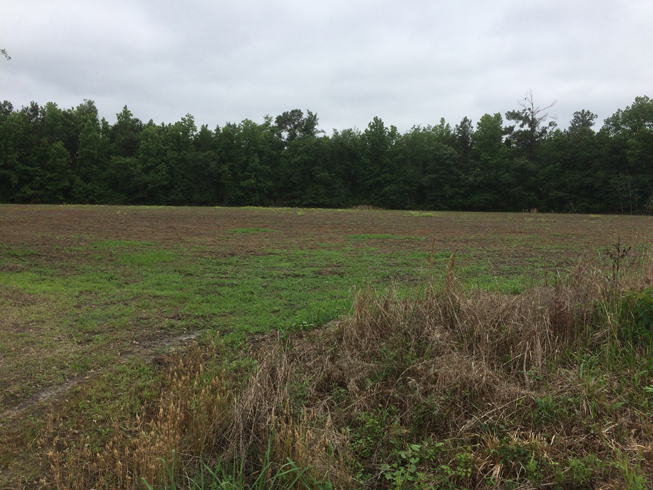 With a cost-share grant from the United States Fish and Wildlife Service (USFWS), Audubon South Carolina committed to convert recently purchased agricultural fields to grasslands. 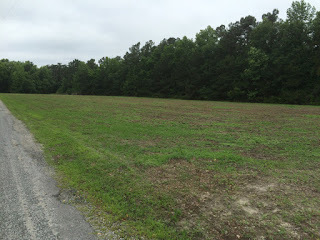 These fields are adjacent to Mims Road across from the driveway entrance to the Francis Beidler Forest. After decades of use for agriculture, the fields held few desirable plant species in the soil seed bank. Most of what volunteered was dog fennel (Eupatorium capillifolium), which would form a dense, sun-blocking thicket having little wildlife value. Therefore, the first step in the conversion was to herbicide the emerging vegetation in order to clear the site for the introduction of desirable grassland plant species. 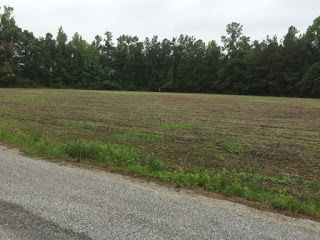 The fields one month after planting. The first two fields shown above were planted in grassland mixes (Showy Wildflower and Mixed Meadow). 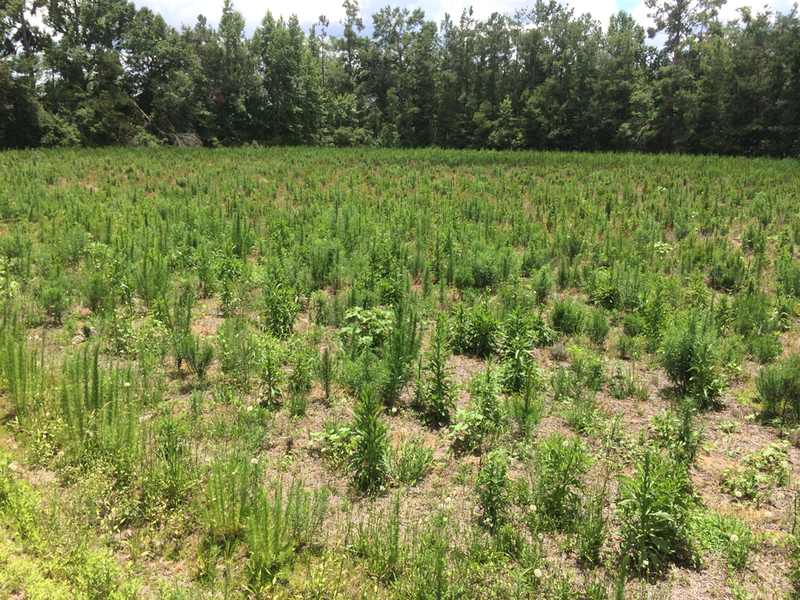 The third field will receive longleaf pine seedlings this winter, so it was planted in a longleaf pine understory mix. 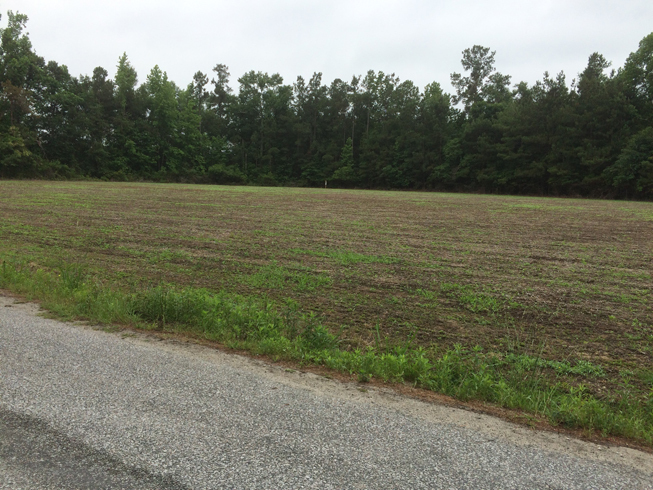 The plantings were accomplished through the use of the USFWS seed drill, which was towed behind our tractor. Seeds are placed in the hopper where agitators feed seed into separate tubes leading to the seed drills. A harrow disturbs the soil ahead of the seed drills. The seed drills place the seed at the proper depth below the soil surface before a set of compacting wheels ensure the seeds are covered and in good contact with the soil. 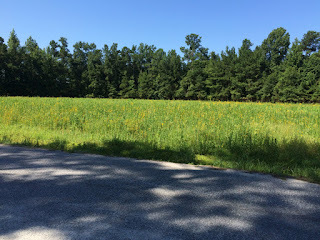 After three month, the fields showed green with a mix of wildflower colors vying for attention. 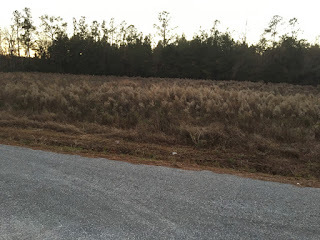 The grasslands will be burned annually to prevent trees from becoming established, to reduce fuel (dead plant material), and to invigorate new plant growth. Due to the dry weather since Hurricane Matthew, we have been waiting for some precipitation to fall before conducting a prescribed burn. The rain over the last week certainly fits that bill, so now we wait for the next day with winds out of the south or southwest to ensure any smoke blows toward the swamp and away from neighbors' homes.